Item No. 1030 Industrial Iron Trolley on wheels with two tier inset maple wood shelving. 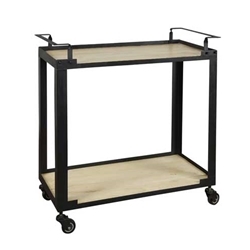 Great bar or serving cart.